The Drywall Pullon Waterproof Steel Toe is a 10-inch tall Men’s pull-on work boot with a distressed beige waterproof leather exterior. 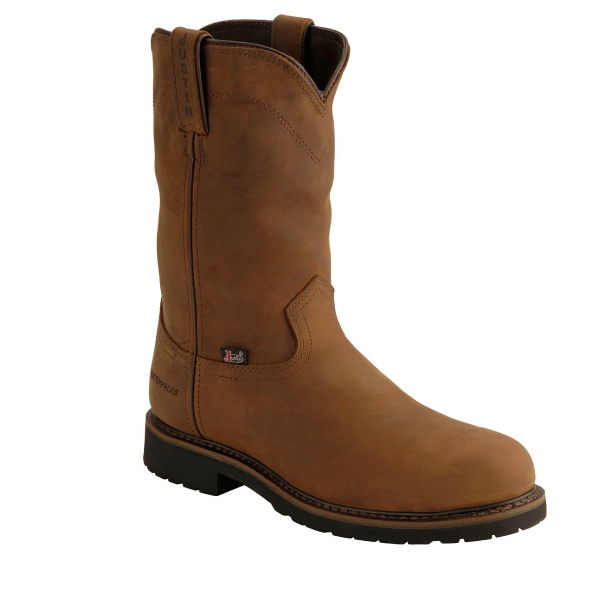 The steel toe provides armor-like protection and it’s built for comfort with the J-Flex Flexible Comfort System® that guarantees lasting support throughout the day. The rubber outsole offers traction on various surfaces and is an ASTM electrical hazard rated boot that provides protection from open electrical currents up to 18,000 volts.